Head of the German Federal Office for the Protection of the Constitution (BfV) Hans-Georg Maassen will soon be dismissed by Chancellor Angela Merkel, who has already made up her mind on the issue, Die Welt reported, citing anonymous sources within the ruling coalition. The reason behind the decision was reportedly that Maassen had intervened in politics with his comments on reports about right-wing activists in Chemnitz "hunting down" migrants. The German government stated that it couldn't confirm the media reports on Maasen's possible resignation. According to Die Welt, other members of the coalition were notified about the decision via telephone. Furthermore, Merkel reportedly told them that Interior Minister and leader of the Christian Social Union Horst Seehofer will have no say in picking the replacement candidate for the post. Earlier, the media outlet reported that Seehofer had allegedly forecasted his "fall" in case Maasen gets fired. The news come following a report by Bild am Sonntag that Maassen's agency had ignored reports about suspected extremist inclinations of the youth chapters of the Alternative for Germany (AfD) party. Security officials in Bremen and Lower Saxony notified the BfV about their suspicions, but their reports remained unanswered for six months, the newspaper added. Hans-Georg Maassen has been under fire ever since he raised suspicions in an interview with Bild that reports and videos of Chemnitz residents "hunting down" foreign-looking people were fake. He claimed to have reasons to doubt their authenticity. Many politicians from the opposition parties, and even within the ruling coalition, have slammed Maassen and demanded his resignation, recalling his alleged ties to the right-wing AfD party, which is known for its harsh stance on immigration. Namely, he is suspected of advising former AfD leader Frauke Petry on how to avoid scrutiny from his agency. 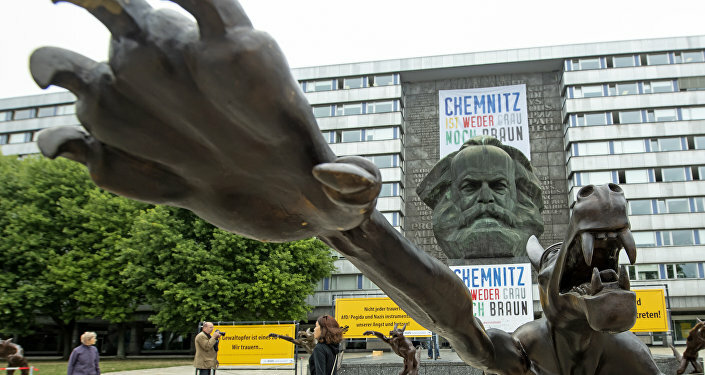 The German city of Chemnitz was recently rocked by anti-immigrant protests after a local carpenter was allegedly stubbed to death by migrants from Syria and Iraq after a conflict at a music festival. The protests, led by right-wing activists, lasted several weeks. Several German media outlets reported to have witnessed some of the protesters making Hitler salutes, as well as chasing and harassing foreign-looking residents of Chemnitz.